A great landscape needs a great design. Although the best landscapes seem to look perfectly natural, seamlessly blending the various elements and bringing a yard to life, those landscapes took hours of planning. We combine years of experience, keen eye for detail, and creativity to craft stunning landscapes. Client consultations are perhaps the most important step in our landscape designs. This is your backyard and your dream. 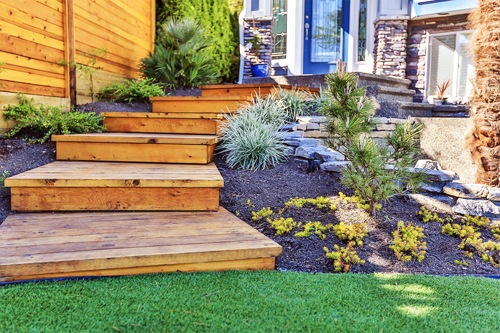 Whether you know exactly what you want, or just know you need change, our lead designer can walk you through the process and through each element of your future yard. After visiting the site, our designer creates a 3D rendering of your home and gets to work designing a stunning landscape that transforms your yard and enhances the appeal of your home. Looking for great ideas for your landscape? We offer complete landscape design and concept services.